Are you a first-time conference attendee? STC’s Technical Communication Summit is the premier conference for technical communication education and networking. Please take a few minutes to review these tips so that you can get the most from your first experience at the Summit. Use the program to select a first choice session for each time slot. Select a second choice session for each time slot. Your first choice may not be what you expected. It’s o.k. to leave a session. 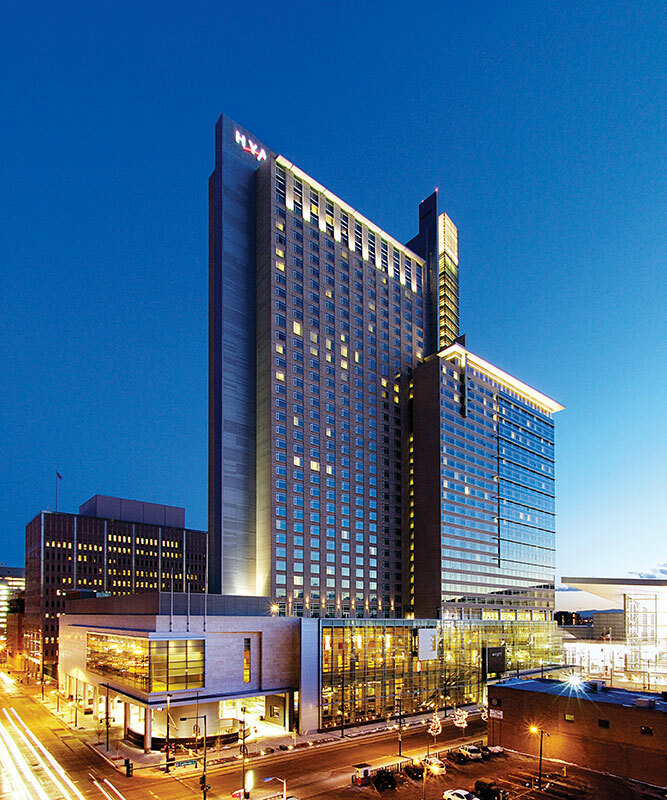 Stay at the Hyatt Regency Denver to be close to the action all day! Visit with the exhibitors in the Expo Hall. Introduce yourself to speakers you really like. They’ll appreciate the positive feedback! Hi! I’m (your name) from (city, state, country). Where are you from? This is the first time I’ve been to the Summit—how about you? I’m really looking forward to (session/presenter). What else do you recommend? ANY EVENT WHERE OTHER PARTICIPANTS ARE! Wear your nametag where it can be seen. This will help others remember your name, and badge checkers will let you in the special events! Don’t let your cell phone/mobile device annoy others. Read the program. Lots of good information there. Dress to be comfortable, but remember you’ll be in large meeting rooms where the AC takes a while to adjust. It’s OK to give yourself a break and skip a session. Stop by the Welcome table to pick-up information about fun things to do in Denver. Say “Hello” to our Rocky Mountain chapter members! At high altitudes, everyone is affected to some degree. The effects vary from individual to individual and cover a variety of symptoms. The two main changes in the high altitude environment, not present at sea level, are decreased oxygen and decreased humidity or moisture content. There is approximately 40-45% less oxygen and 50-80% less humidity. A sudden change in environment from sea level to high altitude can produce symptoms of nausea, insomnia, diarrhea, restlessness, shortness of breath and air hunger. Palpitations or fast heartbeat, headache, nasal congestion, cough, increased flatulence or “gas”, easy fatigue and intolerance to exertion also may be experienced. If the high altitude experience progresses, more shortness of breath and increased cough and edema or fluid accumulation in the lungs may occur requiring medical attention or possible hospitalization. The initial complaints should disappear as your body adjusts to the lowered oxygen content and dryness. This may take anywhere from a few days to a few weeks. Upon arrival to high altitude, don’t overdo. Eat lightly. For the first 48-72 hours, avoid alcohol. Alcohol aggravates the high altitude syndrome. Most of all, keep physical exertion to a minimum the first day. Over-exertion before your body can adapt to the lower oxygen and dryness can result in more severe and persistent symptoms. If you are over 35 years old and plan strenuous exercise while in high altitude, it would be best to first check with your doctor. If you have a history of heart, circulatory or lung disease, it’s mandatory to check with your doctor before coming to high altitude. Respiratory infections or pneumonia should be completely resolved before coming to high elevations,since they can be dramatically worsened by the extra strain placed on your body. Pregnant women should seek the advice of their physicians before exerting themselves at high altitude. Rest appropriately and don’t overdo the first two days. Take a nap when sleepy and get a good night’s sleep after an exhilarating day of skiing or backpacking. Eat lightly and drink plenty of liquids, and avoid alcohol the first 48 hours. If you experience any symptoms noted here, you may be suffering from an oxygen deficit. The symptoms are a caution light to decrease your activity and protect yourself. A day of rest at this time is strongly suggested.